The perfect complement for iPhone, Android Smartphone, Microsoft Surface and other tablets with 4-pole. This microphone kit comes with 3 conference microphones, one ECS-WFCM3.5-4PSO microphone and two daisy chained ECS-WFCM3.5, 3.5 mm microphones. 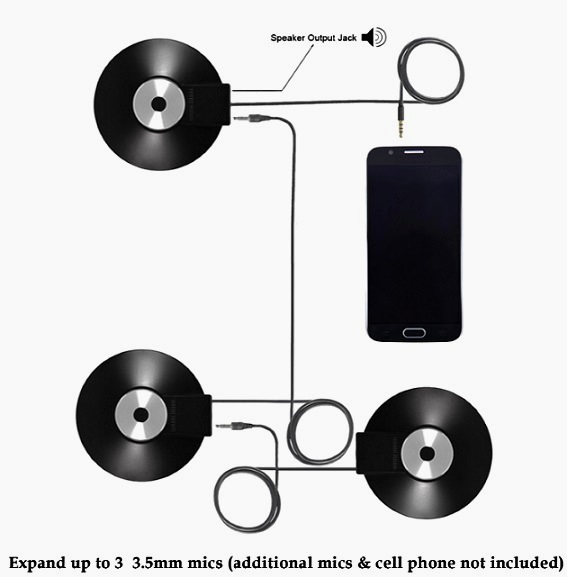 The daisy chain ability allows you to easily connect this three microphone kit to a Smartphone, Microsoft Surface and other tablets with 4-pole. The ECS Microphone Kit delivers brilliant sound quality, accompanied by outstanding ease of use. Revolutionary technology in a straightforward form. No battery required.